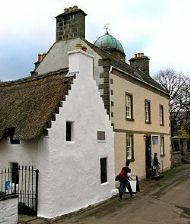 There is also a small museum shop with local and Scottish items for sale. There will also be four photographic exhibitions over the summer season in the Back Room (named for the Captain of the sunken ship HMS Natal). The East Church is open daily from approximately 9.00am to 5.00pm.